While owning a residential or commercial property can be fulfilling, it also comes with a lot of responsibility. Property owners in Northampton County need to be proactive when it comes to such things as water damage. From a ceiling leak due to a severe storm to a burst pipe and flooded basement, water damage can happen to anyone and the results can be devastating. Time is of the essence when it comes to high water levels within your building. This is why you need to act promptly and call 911 Restoration of Virginia Beach right away. Our teams are available 24/7/365 with all hands on deck to provide you with the support and service you need. Whether you live across the street or across the entire county, we’ll be at your door within 45 minutes of your initial phone call. Water damage can happen any time of day or night. Most people don’t ever expect flooding will happen to them, but it can. This is why 911 Restoration is available around the clock to offer our support and services to you when you need them the most. you and your family. 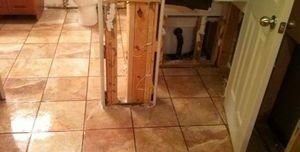 You must call a water damage restoration team that will act quickly. We hire only the best in the industry, guaranteeing that the job will be done effectively in a short amount of time. 911 Restoration recently provided our water damage removal services to a business property owner located in Belle Haven. She suffered from a ceiling leak that had produced large amount of water in her retail shop. Timing was everything when it came to this situation because not only was her business unable to function, but the items she was selling were being damaged by the water. 911 Restoration acted swiftly. We arrived within 45 minutes of her first phone call and got to work on the damage right away. We were able to get her business back up and operating smoothly again in no time at all. On top of that, we offered her incredible customer service and support that put her worries to rest. Our innovative “fresh start” approach is the secret sauce behind our amazing customer service skills. 911 Restoration puts people first, and this outlook helps us to offer sympathy and support when our clients need it the most. Water can lead to unexpected damage in your building, especially if it is left to sit and stagnate. Still water creates a haven for the reproduction of mold. 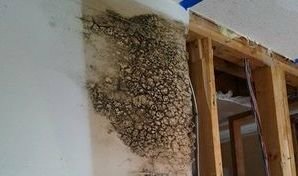 This pesky fungus will thrive in your home if there is moisture present and can lead to unwanted health issues for anyone who spends time near it. If your property has been the victim of water damage and flooding, you may have mold growing in your building. Even if you don’t see it, you must call a mold detection company to property verify if you have a mold problem. Even if the infestation is small, mold grows at rapid rates and can quickly cause a large-scale issue if left unchecked. 911 Restoration has the knowledge and equipment to safely perform mold removal and get rid of the problem for good. Our technicians want to keep you safe and secure and if mold is growing in your home, your building is not safe. Mold can cause coughing, upper respiratory infections, sinus issues, and heighten symptoms in people with allergies or asthma. Not only that, but mold deteriorates any surface it grows on, compromising the structural integrity of your building. If you have been the victim of water damage or are in need of mold removal services, it’s critical to call 911 Restoration immediately. We’re available 24/7/365 and proudly serve the residents of Northampton County, including Bayview, Belle Haven, Cape Charles, Cheriton, Eastville, Exmore, Nassawadox, and Oyster.